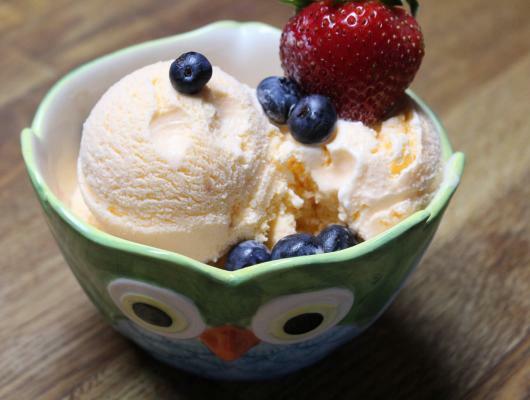 First step for making homemade ice cream is to prepare the ingredients. Cut the frozen banana into small pieces. Put the chopped banana in a high speed blender or food processor and blend until it's thick and creamy. After that add the Greek or plain yogurt to the blender or foods processor and process again until everything is well combined. Next is to add the sweetener of your choice(honey,maple syrup or agave nectar).You can also add some sugar free chocolate syrup to the blender. Blend well for last time until the mixture is homogenized and smooth. You can serve immediately,but for better taste,pour the mixture into serving bowls or cups and freeze for about an hour. Stir it every twenty minutes to prevent ice crystals to form. Serve and enjoy this sweetness with your friends or family. 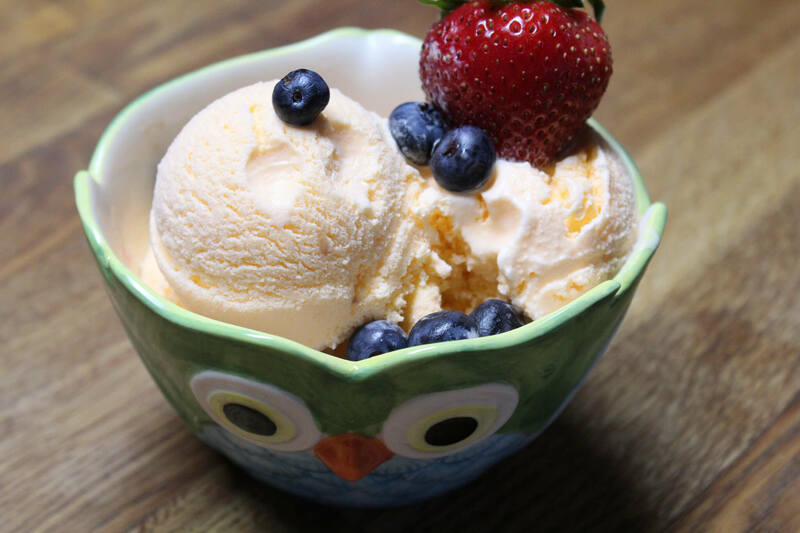 This recipe is an idea for how to make healthy and sweet ice cream at home.The homemade ice cream will be much healthier and tastier than the one in the store.Because it will not contain any excess preservatives and unhealthy ingredients.